This piece is about 18 printed pages long. After a century of attempts to elucidate his thought, scholarship on Nietzsche has left one area of ambiguity that is central to his work quite unresolved. This is the locus where his theories of language intersect with the literary qualities of his own writing. Nietzsche’s understanding of metaphor is a dominant concept in his critique of the relation of language to reality, whether this be seen primarily as the world of objects or also encompasses human consciousness. His pronouncements on art in general tend very much to be dominated by his views on high-culture literary genres, and a good proportion of his own writing consciously employs their techniques, to the point where the characteristic rhetorical brilliance of his analytical writing is interspersed with poems and epigrams, or even produces the grandiose biblical pastiche that is Also sprach Zarathustra (Thus Spake Zarathustra). As a creative writer, he is acutely conscious of the centrality of metaphor in the elaboration of fictional constructs, yet as an epistemologist he is constantly irritated by the metaphorical quality of language, as it is emblematic of the mismatch between his chief instrument of investigation and the external world. The resulting complex is a constant source of tension in his work, from his early lectures on rhetoric to his late unpublished fragments. I shall try to shed some light on this by examining Nietzsche’s conceptual models of metaphor and the disparate emotions with which he colours them – with a view to articulating the principles of ambiguity that structure this aspect of his thought, rather than dissolve them in a spurious reconciliation. The project is justified by the long-standing disinclination of Nietzsche scholars to address this complex of linguistic and aesthetic issues as a single problem at all. Two recent studies exemplify the tendency to ignore either side of the question as a strategy to avoid complicating their explication of one half of the problem. Julian Young’s Nietzsche’s philosophy of art provides an excellent summation of the four phases of Nietzsche’s doctrine of what great art should be, showing convincingly that the final stage largely recapitulates the first (Young, 133ff. ), yet it neglects the extent to which literary categories are finessed into a general aesthetic and shows no interest in the role metaphor plays in the structure of literary paradigms. Christian J. Emden’s Nietzsche on Language, Consciousness, and the Body, by contrast, engages at length with the issue of metaphor in epistemological terms and in the context of 19th century theories of language, but ignores metaphor’s specifically poetic function. It is typical of the tendency to write as if the interrelationship I am concerned with here did not pose major questions that Young’s important work on Nietzsche’s views of art is ignored by Emden’s study of 2005, since opting for the one simplification or the other of this central complex has a venerable lineage in writing on Nietzsche. For the sake of consistency and accuracy I have used my own translations throughout and quoted, wherever possible, from the Kritische Studienausgabe in 15 volumes, edited by Giorgio Colli and Mazzino Montinari, published in 1980. Hence the quotations in German in what follows preserve Nietzsche’s individual, inconsistent orthography and emphases, that are usually ‘normalised’ in other modern editions. Disregarding translations published in English also avoids the problem of quoting from Nietzsche’s unpublished works and fragments that is posed by the spurious work, based on one of the many projects Nietzsche failed to complete, translated as The Will to Power (Der Wille zur Macht) by Walter Kaufmann and R.J.Hollingdale in 1967. This is a highly selective compilation from the notebooks of his last creative years that was printed in progressively longer versions in the successive editions overseen by his sister, Elisabeth Förster-Nietzsche, from 1901 to 1911 – which has not prevented scholarly studies in English, such as Nietzsche’s Case. Philosophy as/and Literature, authored by Bernd Magnus, Stanley Stewart and Jean-Pierre Mileur as late as 1993, from continuing to cite from it, while recognising the conundrums this entails (Magnus, Stewart & Mileur, 35-43). My view is that Nietzsche’s unpublished fragments, not all of which have been translated into English by any means, are best quoted in a form that obviates the questions of status and chronology that the continued use of translations of Der Wille zur Macht in English studies on Nietzsche raises but cannot answer. That drive towards the formation of metaphors, that fundamental human drive that one cannnot discount for a moment, for to do so would be to discount humanity itself, is in reality not stifled and barely constrained by our building out of its own sublimated products, the concepts, a regular and rigid new world as a fortress to contain it. It seeks out a new field of action and a new river-bed, and finds it in myth and preeminently in art. Incessantly it confuses the categories and cells of the concepts by introducing new translations, metaphors, metonymies; incessantly it manifests the desire to shape anew the world present in our waking state in such a colourful, inconsequent, incoherent and fascinating guise as is the world of dream. Correct perception – that would mean the adequate expression of an object in the subject – seems to me altogether a contradictory monstrosity: for there is no causality, no correctness, no expression between such absolutely different spheres as between subject and object, but at most an aesthetic interaction, I mean a merely suggestive transference, a stammering translation into a quite foreign language. But this certainly requires a freely poeticising and freely inventive middle-region and mediating force. Thus there is for Nietzsche in this period a close relation between the falsity of the correspondence theory of truth and the power of metaphor to produce a virtual reality. He terms this action “aesthetic” in the sense that it has the freedom of fictionality and the specifically poetic function of making what is, in effect, a series of inexact translations into a recognisable whole with its own unity and coherence. The latent antinomy in this line of argument is that the same innate drive successively produces quite disparate effects. For it creates both those concepts that solidify of themselves into systems of illusory codification – for which he uses the arresting metaphor of the “columbarium”, an underground sepulchre in Ancient Rome with niches for urns with the ashes of the dead (KSA1, 886), and the free-floating art-works that are no more binding than dreams on the everyday consciousness. Myth, a positively charged concept in The Birth of Tragedy from the Spirit of Music (Die Geburt der Tragödie aus dem Geiste der Musik), is an ambiguous middle phase in this construct. For myth, in Nietzsche’s terms, is neither consciously crafted nor does it decay into conceptual systems. It thus represents an intermediate mode of experience, indicating that the distinction between the unconscious process by which metaphors degenerate into fixed ideas and the conscious creation of an aesthetic unity may not, after all, be the simple either/or implied in this essay. The process by which language arises is certainly not logical, and the entire medium in which and with which the man of truth, the researcher, the philosopher later works and constructs, originates, if not in cloud-cuckoo-land, then surely not in the essence of things. The reflexive effects of this basic duality on the evaluation of Nietzsche’s work are many and varied, but tend to fall into two main camps. There are the robust defenders of Nietzsche, such as Sara Kofman and Ruediger H. Grimm, who see the prevalence of metaphor in Nietzsche’s writing as making a triumph of necessity. Thus Kofman claims his deployment of metaphors is consistently aimed at demolishing those metaphysical falsities, which, in terms of Ueber Wahrheit und Lüge, were once metaphors themselves: “As a rigorous philologist, so as to dispel metaphysical seductions and the misconceptions of fallacious interpretations, Nietzsche strategically turns himself into a poet: he multiplies metaphors [… ]” (“En philologue rigoureux, afin de dissiper les séductions métaphysiques et les contresens des interprétations fallacieuses, Nietzsche, stratégiquement, se fait poète: il multiplie les métaphores [… ]”(Kofman, 149) ). In similar wise, another author locates Nietzsche’s discourse in the mythical realm of the “extra-semantic” (“das Außersemantische” (Masini, 277f.)). 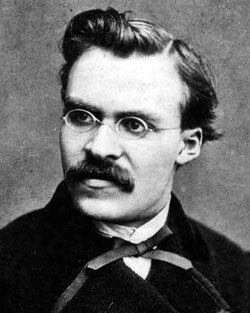 Given that Nietzsche is one of the most lucid stylists ever to write in German, to depict him as transcending the “normal limits of [… ] intelligibility” again and again is to relegate him most improbably to that metaphysical plane whose existence he spends so much of his work denying. 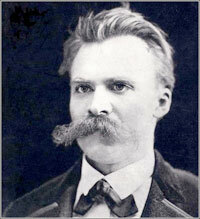 Nonetheless, a similar claim is made a decade and a half later in Nietzsche’s Case: “Language – Nietzsche seems to say – exceeds itself, casts beyond itself, spilling over into the space between the lines, as experience exceeds ideal/moralistic attempts to confine it within the intellectual limits of ‘reason’”. (Magnus, Stewart & Mileur, 241). It is surely simpler and more realistic to say that Nietzsche uses analytical discourse when it suits his purposes, resorts to poetic strategies when it does not and frequently blends the two to great effect. Contrariwise, there is no lack of voices on the other side, asserting with Paul de Man, that “the deconstruction of metaphysics, or ‘philosophy’, is an impossibility to the precise extent that it is ‘literary’”. (de Man, 131). What shall Cordelia say? Essentially, that partisanship rarely has the patience to examine the nexus between Nietzsche’s understanding of poetry and his shifting views of metaphor as a problem that has a history within his work. For just as his views of what art can achieve and what kind of literature is best mutate over Nietzsche’s nearly thirty years of creativity, so his modelling of metaphor in the context of art and poetic techniques must also be seen in terms of changes of structure and emphasis. To examine Nietzsche’s first model of metaphor, it is necessary to go back some two years before Ueber Wahrheit und Lüge to an essay of about 17 pages entitled On Music and Word (Über Musik und Wort), dated to spring 1871 in the revised, second edition of his works published by the Naumann Verlag, Leipzig, in 1903 and in all subsequent reprints of it (NWNIX, 212-29). The first two thirds of this text appear in the Kritische Studienausgabe as a long untitled fragment, while the remainder is embedded in another substantial fragment of the same period. At this remove it is impossible to say whether the title and unification of the text is another case of that creative editing which took place in all editions overseen by Nietzsche’s sister and that gave the world Der Wille zur Macht. Its first part was likely intended originally as a chapter in Die Geburt der Tragödie, but later omitted. It may then, as the editor of the 1903 edition, Ernst Holter, suggests (NWNIX, 472), have been preserved as part of a later work, never to be completed. Nietzsche’s notebooks abound in titles and drafts for works that remained in the project stage. Virtually all the fragments Holter appends to Über Musik und Wort are present in identical form in the notebooks of 1871 reproduced in the Kritische Studienausgabe. Nietzsche did not finalise the published version of Die Geburt der Tragödie until the autumn of 1871 (KSA14, 43), so it is possible that Über Musik und Wort existed in a version composed for later use, still extant in 1903 but since lost. At all events, the first part survives in the Kritische Studienausgabe as a distinct and integral text which points forward to the view of poetic metaphor expounded in Ueber Wahrheit und Lüge and thus sheds light on the history of the whole complex. But what does the word symbolise? Surely only mental images, be they conscious, or for the most part, unconscious: for how should a word-symbol correspond to that innermost essence, of which we and the rest of the world are representations? We know that centre only in the form of mental images, only in its figurative expressions do we have any familiarity with it: moreover, there is nowhere a direct bridge that would connect us to it. The entire life of the instincts as well, the play of emotions, feelings, affects, acts of will is – as I must now add in opposition to Schopenhauer –, if we scrutinise ourselves most rigorously, not known to us in accord with its essence: and we may well say that even Schopenhauer’s “will” is nothing but the most general form in which something appears that is, moreover, totally indecipherable to us. To the extent to which that primal ground present in all humanity is the same, so is the musical substrate general and comprehensible despite the differences between languages. From this base the symbolism of gesture evolves, with which the diversity of languages begins, whose multiplicity we may see figuratively as a text in strophes overlying that primal melody of the language of pleasure and its opposite and which is more arbitrary and does not completely correspond to its foundation. For brief moments we are really the primal being itself and feel its unfettered lust for life and pleasure in life; strife, torment, the annihilation of appearances now seems necessary to us, experiencing the excess of countless forms of life which force and impel themselves into existence, the most extravagant fertility of the world-will; [… ] Despite fear and pity we are happy living beings, not as individuals, but as the one living being into whose desire to procreate we have been absorbed. The “thing in itself” (that would be precisely pure truth without consequences) completely eludes even the creator of language and he does not consider it in the least worth striving for. He denotes only the relations of things to people and avails himself of the most daring metaphors to express these. A stimulus to the nerves is first translated into an image! first metaphor. The image is again mimiced in a sound! Second metaphor! And each time a complete leap from one sphere into the midst of another quite different and new one. There is a certain ambivalence of tone in sections of Ueber Wahrheit und Lüge. While, as we have seen, the “drive towards the formation of metaphors” culminates in the liberty of artistic creation, other passages betray a certain nostalgia for the inverse hierarchy of values and its triumphant rectification through the Dionysian experience that was left behind with Nietzsche’s growing disappointment with Wagner. Die Geburt der Tragödie had held out the promise of a reunification – if only fleetingly – of the modern consciousness with “primal being”. The underlying scenario of Die Geburt der Tragödie is essentially that of the paradisal state of the participant in Dionysian tragedy in Ancient Greece, the Fall brought about by the triumph of Socratic rationalism, of which the decay of tragedy in the works of Euripides is the emblematic expulsion from Eden, and then the prospect of redemption through the resurgence of the Dionysian in the music-drama of Wagner. Ueber Wahrheit und Lüge is the first fruit of Nietzsche’s own gradual expulsion into a world bereft of the absurdities of Wagnerianism, but offering the liberty to become himself. This he does via a series of transitional works, and from 1875 onwards writes sections of Human, All-too-Human. A Book for Free Spirits (Menschliches, Allzumenschliches. Ein Buch für freie Geister), which he publishes in 1878 and which establishes the caustic, polemical mode of his middle period. The legacy of Ueber Wahrheit und Lüge is twofold: the dimensional model of language in Über Musik und Wort binds metaphor, as a disjunctive action, into the instinctual drive that culminates in artistic creation; in the process, however, the hierarchy of values that the very same model expressed in the months prior to the completion of Die Geburt der Tragödie has forfeited its dynamic, since the mythical pattern of paradise, Fall and redemption no longer holds. The structure Nietzsche now erects using the concept of metaphor has the effect of replacing a single “drive” by series of phases with a loss of exact correspondence caused by each transition. In historical terms, this means replacing the one “drive to create art” (“Kunsttrieb”), which, as Emden points out, had been a familiar concept in German anthropological thinking since the 1770s (Emden, 133f. ), by a process that both unites it with the origin of language as such and subjects it to a series of displacements that effectively alienates it from itself, so that one phase mutates into imprisoning conceptual systems – caught so deftly in the image of the “columbarium” (KSA, 886) – whilst further displacements liberate it again into the spheres of myth and aesthetic production. On the one hand, [… ] there is disposition to debunk everything connected with “high” art, with concert halls, art galleries and the like. [… ] On the other hand the theme of the artist as prophetic regenerator of culture reappears in the work in a way that restores to the artist a pedestal not that much lower than the one so recently removed. (Young, 84). This contradictory attitude extends into the period of The Carefree Science (Die fröhliche Wissenschaft), published in in 1882, in which the 14 pages of his own poems Nietzsche places at the beginning are soon followed by the disparaging aside: “Poets, for example, were ever the valets of some morality or other.” (“Die Poeten zum Beispiel waren immer die Kammerdiener irgend einer Moral.” (KSA3, 371)). [… ] metaphor is the rhetorical process by which discourse frees the power that is inherent in certain fictions to redescribe reality [… ] From this coincidence of fiction and redescription we conclude that the “locus” of metaphor is neither the noun, nor the sentence, nor even the discourse, but the copula of the verb to be. The metaphorical “is” means at once “is not” and “is like”. Nietzsche was later to endow the first function of metaphor, that of disjunction, with many negative connotations, apparently without realising that the function of resemblance can be deployed in such a way as to relative disjunctive effects by making them explicit. Instead, he tends to see the metaphorical function in terms of simple falsity, which, in turn, can ring the changes on his attitude to such consciously crafted fictions as literature. Since metaphor is intrinsic to the possibility of language as such, and not just language as art, his polemics against the inadequacy of language subsume much of his animus against all illusory belief systems. This is put most succinctly in the late work Twilight of the Idols (Götzen-Dämmerung): “I fear we will not get rid of God because we still believe in grammar… ” (“Ich fürchte, wir werden Gott nicht los, weil wir noch an die Grammatik glauben… ” (KSA6, 78)). For grammar is one of those conceptual cemetaries, “columbaria”, that the human consciousness builds for itself at that stage of the evolution of language when, in the terms of Ueber Wahrheit und Lüge, originary metaphors are mistaken for exact correspondences with “the essence of things” and their disjunctive nature is lost from awareness. Nietzsche here takes up an idea current throughout Europe since Rousseau’s Essay on the Origin of Language (Essai sur l’origine des langues), written in 1756 and published in 1781 – Nietzsche seems unaware of Vico’s earlier theory and Herder’s work of 1772 that revives it – that figurative meaning is primary: “Figurative language was the first to arise, literal meaning was discovered last.” (“Le langage figuré fut le prémier à naitre, le sens propre fut trouvé le dernier” (Rousseau, 45)). Nietzsche then reverses Rousseau’s model, which sees the “illusory image produced by passion” (“l’image illusoire offerte par la passion”) as being subsequently corrected by “the enlightened mind, recognising its initial error” (“l’esprit éclairé, reconnaissant sa prémiére erreur” (Rousseau, 47)), and becoming capable of recognising retrospectively the difference between metaphorical and literal expressions. For Nietzsche, such a correction never occurs because the history of humanity is not one of progressive enlightenment, so that primary metaphors are not perceived as such – until he himself appears to set things to rights. Thus begins his interminable parade of polemics against the deceptions of language. Their abundance is not because analytical discourse is in any way inadequate to exposing these, but because millennia of human amnesia as to their origin cannot be corrected too often. It verges on the incredible that the authors of Nietzsche’s Case misrepresent this process as follows: “For Nietzsche, it appears, it is important to avoid garrulity. Hence, he admired, first, and then developed a mode of expression as narrowly removed as possible from silence.” (Magnus, Stewart & Mileur, 240) Nietzsche certainly excelled at writing epigrams, when they served a purpose, but his polemics against the inadequacies of language, as indeed against Christianity, democracy, conventional German Hellenism, Romanticism and many other objects of disapproval are, frankly, garrulous and repetitious – even if we focus only on the works he published himself and exclude the further repetitions that result from adducing unpublished works and fragments that account for about 5,000 pages in the Kritische Studienausgabe (KSA14, 17). Even now we are continually seduced by words and concepts into thinking things are simpler than they are, separated from one another, indivisible, each one existing in and for itself. A philosophical mythology lies hidden in language that breaks out again at any moment, no matter how cautious one may otherwise be. [… ] that a great, far-reaching decline, falsification, rendering of things superficial and general is bound up with all processes of becoming aware. Ultimately, growing consciousness is a danger; and anyone who lives among the most aware Europeans knows that it is even a disease. I am not concerned here, as the reader will guess, with the opposition of subject and object: I leave this distinction to the epistemologists who have remained entangled in the snares of grammar (popular metaphysics). Why might not the world, that concerns us to some degree, be a fiction? And to whomever then asks: “but to a fiction there belongs an author?” – might the response not well be a straightout: Why? Does not this “belongs” perhaps belong to the fiction as well? Is it not even permissible to be, with time, a little ironic about the subject, as about predicate and object? Here, as elsewhere in Nietzsche’s later writings, the concept of fiction has to bear the full weight of negativity of which his polemics are capable. An immense shift has occurred in its connotations from his first exploration of metaphor in 1871, where we read in one of the fragments associated with the draft of Über Musik und Wort that Wagner’s music-drama has restored language to its “primal state” (“Urzustand”): “This state of nature and primal state is a purely poetic fiction and functions as mythic symbolism.” (Dieser Natur- und Urzustand ist eine rein poetische Fiction und wirkt als mythische Symbolik.” (NWNIX, 253)). Clearly, the essay Ueber Wahrheit und Lüge of mid-1873 represents a crossroads in more ways than one. The course I have traced from it to Nietzsche’s last writings has so far been principally concerned with his growing animus towards those involuntary metaphors which pervade everyday speech and have a particularly baneful effect on philosophical discourse. Fiction becomes, in this context, a wholly negative term because – despite all that Nietzsche has done in his published works to alert the reading public to the perpetual confusion in which it lives – the delusions engendered by the effects of unrecognised metaphors simply will not go away. Nietzsche’s works had scarcely any resonance in Germany before he was overtaken by madness, and the constant frustration of crying wolf! to a herd of philosophical sheep is unmistakable in the increasing redundance and shrillness of his polemics. It is now necessary to pursue the changes of emphasis in his works that attend his understanding of the consciously crafted or poetic metaphor, for this, in 1873, appeared as dissolving the rigidity of “concepts” by transposing the metaphorical process into the free space of the work of art. This means that, prior to Menschliches, Allzumenschliches, the first part of which appeared in 1878, but which Nietzsche began to write in 1875 (KSA14, 115f. ), there was a perfectly clear structure within which involuntary and poetic metaphors appeared as successive manifestations of the same instinctual “drive”, and this structure survived intact the crisis of those values with which it was invested in Die Geburt der Tragödie. If the contours of this model subsequently become blurred, then it may be because the crisis had a much longer aftermath than Nietzsche was prepared to admit. Emden’s study of 2005, Nietzsche on Language, Consciousness and the Body, fails to pick up this point in his long discussion of the consequences of Nietzsche’s views on metaphor for his epistemology, although Walter Gebhard had warned in 1983 that Nietzsche’s blurring of this distinction, especially where metonymy functions as synecdoche (whole for part or part for whole), would cause grave problems for his critique of truth (Gebhard, 134). The consequences for his understanding of poetics are even more drastic. As we have seen, in the period of Die Geburt der Tragödie the relationship Nietzsche posits between consciousness, language and the underlying “primal ground” is a dimensional model, involving layers that lose vitality as they gain distance from the ‘deepest’ stratum. But since, according to Über Musik und Wort, the primal ground is present in each individual, the relationship is metonymic. When the Dionysian state collapses the disjunctive layering — “we are really the primal being itself and feel its unfettered lust for life and pleasure in life” — because the part is reabsorbed into the whole, the emanation into the source, and the separating functions of consciousness and language are temporarily abolished. This is possible only because the metonymical relationships assume a homogeneity of the “primal being” and the human individuals that are its emanations. In a metonymical model, it is thus the disjunctions that are ultimately illusory. Once Nietzsche loses his faith that the Dionysian spirit has reentered the world through Wagner’s music-drama, the fact that his view of metaphor shares precisely the same model and that he simply redeploys it in Ueber Wahrheit und Lüge has the incidental effect of reversing its terms by removing its soteric dimension. Once the Dionysian epiphany is no longer promised as a redemption of modern consciousness, it is the disjunctive elements that become real and the metonymical bond that is stigmatised as illusion. Nietzsche seems unaware of the further implications of this, as he insists that it is still the same “drive” that mutates into the “columbaria” of conceptual systems and grammars but then, by a further disjunction, regains its freedom in the form of poetic metaphor. For there is now nothing to tie art back to the “essence of things”. Rather, the dimensional model of metaphor has become one of progressive alienation: displacements are no longer reversible and what gets lost through the various phases of “translation” is lost for good and all. This view of metaphor is clearly much more congruent with poetic practice in Europe from the 19th century onwards. If we consider that Rimbaud’s Illuminations (Les Illuminations) were written at the same time as Die Geburt der Tragödie then it is clear that Nietzsche’s revised model is eminently forward looking, as far as the history of European poetics is concerned, whilst the aesthetic of the Dionysian epiphany is much more in accordance with the idealist poetics of his youthful idol Hölderlin (Ross, 66; Stern, 14), whose last completed hymn dates from 1803. So it is that in Chapter 8 of Die Geburt der Tragödie Nietzsche presents poetry as aspiring to be “the unvarnished expression of truth” (“der ungeschminkte Ausdruck der Wahrheit” (KSA1, 58)), whereas by mid-1873 it has become a liberation from precisely the illusions engendered by the concept of truth itself. It seems to me that the happenstance Wagner is to blame for the fact that N. applied his insights and hopes, that are so incongruous with essential Germanness, – straightway to this closest (too close!) opportunity; this has a most deleterious effect on the last third of the book. This harm is much greater than the use of Kantian and Schopenhauerian terminology. It is not without deep pain that one admits to oneself that artists of all ages, when they soar highest, have exalted precisely those ideas to a heavenly transfiguration that we now perceive as false: they are the glorifiers of the religious and philosophical errors of humanity, and they could not have been so without faith in their absolute truth. While he says “of all ages”, the rest of the passage indicates he has the Christian era in mind. Pre-Socratic Greece tends to be tacitly excluded from the claim. Nonetheless, it appears to lump Lessing in with Klopstock, Shakespeare in with Milton, Molière in with the late Racine. That it is hyperbole is made clear by what he says elsewhere about his favourite artists, but it is an absurd generalisation nonetheless. In Nietzsche’s own terms, to make great art depend on a belief in absolute truth is to annul the metaphorical displacement which, in Ueber Wahrheit und Lüge, gives it the freedom to shape the world anew. There are various ways around this impasse. The one Nietzsche unfortunately did not find was to acknowledge the creativity of the deictic function of metaphor, as outlined above in the quotation from Paul Ricoeur. Because there is a loose fit between poetry and the world, poetic fictions do not have to encompass their objects but may be quite content with an indicative gesture which connotes nothing about the reality or unreality of that to which it refers. This means, of course, that poetry is fictional, and it may well have been that if Nietzsche had not made fiction a term of abuse in his polemics against traditional conceptual systems, he would have been more amenable to developing further the view of art that he adumbrates in Ueber Wahrheit und Lüge, where the negative status of involuntary metaphors is clearly differentiated from the freedom of those that make up a literary work. Instead, he insists again and again that fictions are to be demolished, seemingly oblivious of the paradox latent in such an undertaking that Rilke puts so elegantly in the final line of his poem Baudelaire, written in 1921: “and even what annihilates becomes world. “ (“und auch noch das Vernichtende wird Welt” (Rilke II, 246)). In this sense, Nietzsche’s ultimate attack on Christianity Also sprach Zarathustra does indeed end up as “‘an inverse gospel’ [… ] a parody of the liturgy and of all sermons and sermonising (including the Sermon on the Mount” (Magnus, Stewart & Mileur, 149), but it is also full of dogmatic assertions Nietzsche was to repeat elsewhere, especially in is notebooks, as his own convictions, and thus the parodistic dimension is itself highly dubious. For Nietzsche its revelatory stance had its fully serious side, else he would scarcely have noted in autumn 1887: “I read Zarathustra: but how could I have cast my pearls before the Germans in this way!” (“Ich lese Zarathustra: aber wie konnte ich dergestalt meine Perle vor die Deutschen werfen!” (KSA12, 451)). The lack of resonance to his major venture into ‘visionary’ writing was as bitter to him as that to his more theoretical works, because Nietzsche wanted above all to be recognised. Young draws the perceptive conclusion: “Nietzsche [… ] is concerned, centrally, not with the causes but rather the effects of art.” (Young, 145). Certainly, Die Geburt der Tragödie is one long hypothesis about the effects of Ancient Greek tragedy and the potential effects of Wagnerian music-drama, based on the premise that the contemporary innovation can reproduce the impact of the originary model. This pattern of thought continues to pervade Nietzsche’s writings long after Bayreuth has lost its glamour. What he sees as the effects of art in a given social context tends to be projected back into his representations of the creative process – hence his absurd contention that the great art of “all ages” depends on a belief in the absolute truth of this or that religion or philosophy. In The Red of Dawn (Morgenröte), published in 1881, he explicitly excepts Shakespeare from such false generalisations: “Whoever thinks that Shakespeare’s theatre has a moral effect and the sight of Macbeth is an iresistible warning against the evil of ambition is wrong: and wrong again to believe Shakespeare shared that belief.” (Wer da meint, Shakespeare’s Theater wirke moralisch und der Anblick des Macbeth ziehe unwiderstehlich vom Bösen des Ehrgeizes ab, der irrt sich: und er irrt sich noch einmal, wenn er glaubt, Shakespeare habe so empfunden wie er.” (KSA3, 201)) The question remains, however, whether such a corrective would have been necessary at all, had Nietzsche’s own first aesthetic not been rooted in belief and predicated on the imagined effect of Wagner’s music-drama on contemporary audiences. While, after 1873, there is no longer any conviction that the direction of metaphorical displacements can be reversed, there is occasionally a nostalgic desire that it might. Section 230 of Jenseits von Gut und Böse, published in 1886, is of great interest in this regard, for, in this late work, Nietzsche seems for once at home with the freedoms granted by indulging in the fictionalty poetic metaphor may offer. They may be superficial, but they can be fun! For a similar reason we should include here the occasional will of the mind to let itself be deceived, perhaps with a capricious intuition that things are thus and not thus, that one merely allows it to appear that they are thus and thus, a pleasure in all unsureness and ambivalence, a rejoicing self-indulgence in the arbitrariness of all these manifestations of power. Finally we should include that somewhat dubious willingness of the mind to deceive other minds and to act out a role for them, that constant pressure and urgency of a creative, shaping and transforming force: the mind then enjoys its multiplicity of masks and its deceitfulness [… ]. Against this will to appearances, to simpification, to the mask, to the disguise, in brief to superficiality, for every surface is a disguise – there works that sublime disposition to perceive, which sees and wants to see things profoundly, with differentiation and thoroughness. Insgleichen gehört hierher der gelegentliche Wille des Geistes, sich täuschen zu lassen, vielleicht mit einer muthwilligen Ahnung davon, dass es so und so nicht steht, dass man es so und so eben nur gelten lässt, eine Lust an aller Unsicherheit und Mehrdeutigkeit, [… ] ein Selbstgenuss an der Willkürlichkeit aller dieser Machtäusserungen. Endlich gehört hierher jene nicht unbedenkliche Bereitwilligkeit des Geistes, andere Geister zu täuschen, und sich vor ihnen zu vestellen, jener beständige Druck und Drang einer schaffenden, bildenden, wandelfähigen Kraft: der Geist geniesst darin seine Maskenvielfalt und Verschlagenheit [… ]. Diesem Willen zum Schein, zur Vereinfachung, zur Maske, zum Mantel, kurz zur Oberfläche [… ] wirkt jene sublime Hang zum erkennen entgegen, der die Dinge tief, vielfach, gründlich nimmt und nehmen will [… ]. (KSA5, 168)). But we hermits and marmots, we have long [… ] persuaded ourselves that [… ] from beneath so much flattering colour and overpainting the terrible underlying text homo natura must again be brought to light and deciphered. Namely to translate humanity back into nature; to gain control of all the many vain and fantastic interpretations and connotations which have so long been scribbled and painted over that eternal primary text homo natura [… ]. In an interesting reversal of the course the “drive to form metaphors” had first taken in Ueber Wahrheit und Lüge Nietzsche dallies with the pleasure to be gained from indulging in the conscious fictionality of free artistic creation which poetic metaphor enables, then sternly recalls himself to the task of eliminating false perceptions, the products of the earlier stagnations of involuntary metaphor, whose metaphoricity has been forgotten – but finally he moves still further back to a perceptual model akin to the world of Über Musik und Wort of 1871. There the term he used for the “essence of things” at the heart of the dimensional model of the relation of consciousness and language to their origin and present in each individual was “primal ground” (“Urgrund”) – here, so many years later, the metaphor of the palimpsest transforms the object of desire into the “primary text” (“Grundtext”), but the nostalgic regression, through earlier phases of his own work, to as close an analogy to the epiphany of the “primal being” (KSA1, 109) as the irreversibility of metaphorical disjunction still permits, is unmistakable. This goes some way towards explaining why the liberation offered by poetic metaphor can never be wholeheartedly embraced by Nietzsche, but remains ambiguous and a source of unease: the task of demolishing the “columbaria” of erroneous concepts has priority, but, beyond that, the real direction of desire is still to actualise the “primal” in the present. Nietzsche’s writings bristle with arresting poetic metaphors, and we have seen some examples in the texts we have quoted: seduction, the snares of grammar, the mask, the palimpsest, the columbarium itself. But they tend to be deployed strategically to persuade the reader of some proposition, rather than provide a stimulus towards the elaboration of a non-derivative poetic discourse. This may well be because, after the traumatic loss of faith in the effects of Wagnerian music-drama, Nietzsche seems curiously adrift in the aesthetics of his own time. His attitude to Baudelaire, for example, is a strange mixture of admiration and condescension. In 1888 he transcribes some 20 pages from Baudelaire’s Œuvres posthumes (Posthumous works) (KSA 14, 393) interspersed with his own, mainly approving comments, some of which are reproduced in KSA13, 75-79. But earlier, in 1884, he had stigmatised Baudelaire for condemning sensual pleasure as part of the “continuation of Christianity by the French Revolution” (“Fortsetzung des Christentums durch die Französische Revolution” (KSA11, 61) and in 1885 as “a sort of R[ichard] W[agner] without music [… ] Nervous, sickly, tormented, without sunlight” (“eine Art R[ichard] W[agner] ohne Musik. [… ] Nervös-krankhaft-gequält, ohne Sonne” (KSA11, 476)). In Ecce Homo of late 1888, Nietzsche’s final word on Baudelaire is to assign him, as “that typical décadent” (“jener typische décadent”), along with Berlioz and Delacroix, to “French late-Romanticism [… ] with a fond of disease, of incurableness in its essence” (“die französische Spät-Romantik [… ] mit einem fond von Krankheit, von Unheilbarkeit im Wesen” KSA6, 289)). Nowhere in any of his remarks is there a recognition of Baudelaire’s historical importance as a dislocator of the Romantic tradition and the originator of a new kind of poetry. And just as for the dramatist words and lines of poetry are nothing more than stammering in a foreign tongue in order to express in it what he lived and saw, so the expression of every profound philosophical intuition through dialectic and scholarly reflection is perforce, on the one hand, the only means of communicating what has been intuited, but, on the other, a wretched means, indeed fundamentally a metaphorical, totally unfaithful translation into a different sphere and language. Thus Thales intuited the unity of being: and, when he wanted to communicate, he spoke of water! Homer is so much at home among his gods and, as a poet, is so much at ease with them that he certainly must have been deeply irreligious; with what popular belief presented to him – a wretched, coarse, in parts horrible superstition – he proceeded as freely as a sculptor with his clay, that is, with the same unselfconsciousness as Aeschylus and Aristophanes possessed and by which in more recent times the great artists of the Renaissance distinguished themselves, as did Shakespeare and Goethe. What a falling off was there in the two or three years that separate this celebration of art as freedom to the formulation of the section of Menschliches, Allzumenschliches that sees artistic creation as dependent on a belief in one or other set of absolute truths! It was not merely, as Young recognises, “a tremendous departure from the world of The Birth of Tragedy” (Young, 59); it is a negation of the aesthetics of the poetic metaphor developed by Nietzsche in the transitional stage documented by Ueber Wahrheit und Lüge a year and a half after the publication of the former work. 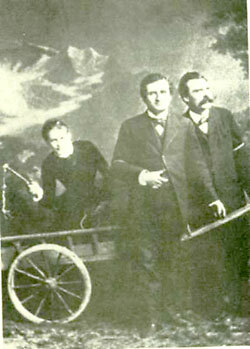 Until Nietzsche’s final year of creativity, 1888, when the writing of Götzen-Dämmerung inaugurates a return to his first aesthetic, there is no consistency to be found in Nietzsche’s polemics against the “empty fictions” of the systems created by involuntary metaphors and his pronouncements on art and artists. The poetic metaphor has lost its liberating function and ceases to be the key concept it was in the sumnmer of 1873. Nietzsche will continue to play his favourites among the creators of art, sometines generalising wildly when art seems to have some affinity to his bêtes noires, Christianity, Wagner and Romanticism, but then correcting the perspective when an author is deemed to be sufficiently ancient or secular: Homer, Aeschylus, Sophocles, Shakespeare, Voltaire, Helvétius, Goethe, Leopardi, Stendhal, and so on. What has occurred? Any explanation has to remain a hypothesis, since Nietzsche nowhere explicitly rejects the coherent model he had created encompassing both kinds of metaphor. He simply pursues the falsity of involuntary metaphors relentlessly and almost entirely ignores the liberating further stage of the poetic metaphor which he himself had posited, although, as we have seen, he coins such metaphors consistently in the service of his polemics and his ventures into literature. The hypothesis I offer seeks to take account of what occurred between the summer of 1873 and the autumn of 1877 when he completes the manuscript of the first book of Menschliches, Allzumenschliches. The period is that of his long process of disillsusionment with and final estrangement from Wagner, and this is not simple or linear. As we have noted, the first doubts are expressed in letters of May 1873. In January 1874, when he formulates the project of Richard Wagner in Bayreuth, which he completes in May 1876, some of the earliest fragments are highly critical, both of Wagner’s person and of his works: “‘False omnipotence’ develops something ‘tyrannical’ in Wagner. [… ] The tyrant acknowledges no individuality but his own and that of his intimates. It is a great danger for Wagner that he refuses to acknowledge Brahms etc: or the Jews.” “Die ‘falsche Allmacht’ entwickelt etwas Tyrannisches in Wagner. [… ] Die Gefahr für Wagner ist gross, wenn er Brahms usw. nicht gelten lässt: oder die Juden” (KSA7, 764f.) Wagner’s art succeeds “only in the proportions of the largest dimension, in detail he is often violent and arrhythmic” (“nur in den Maaßen der größten Dimension, im einzelnen ist er oft gewaltsam und unrhythmisch” (KSA7, 790)). In April 1873 he had visited Bayreuth and heard Wagner play the conclusion of Die Götterdammerung, which had given rise to his first doubts, then visited Bayreuth again at the end of October and fled after three days, causing Cosima Wagner to write to Nietzsche’s friend Erwin Rohde expressing great anxiety as to his mental state (KSA15, 54). The fragments of January 1874 then reveal the growing ambivalence of Nietzsche’s discipleship. His next visit to Bayreuth in August 1874 was longer, but Nietzsche’s producing the score of a composition by Brahms, surely a provocation, resulted in an open quarrel with Wagner. Nonetheless he persists with writing Richard Wagner in Bayreuth in which he exercises sufficient self-censorship for it to be received enthusiastically in Bayreuth in early July 1876. He goes to Bayreuth for the premiere of the Ring-cycle later that month, flees for 6 days, but returns for the performance. His last encounter with Wagner takes place in Sorrento in the following October, after which the estrangement is complete. This account of the ambivalences in Nietzsche’s attitude to Wagner and his music-drama, from the halcyon days of friendship that continued well after the appearance of Die Geburt der Tragödie at the beginning of 1872 to the the scathing contempt in this notebook entry, is pared down to the bare essentials and contains none of the additional factors and relevant detail available in letters and in biographies such as that of Werner Ross. Nietzsche’s first condescending dismissal of Wagner in print in Menschliches, Allzumenschliches II as a “despairing Romantic” (“verzweifelnder Romantiker” (KSA2, 372)) was to follow in March 1879, but, with the savage outburst against the music of Die Götterdämmerung, it is as if a circle has finally closed. What significance may be given to it? The culmination of Nietzsche’s positive view of the creativity of metaphor in 1873 is its ability “to shape anew the world” in a form that need have no more relation to everyday reality than “the world of dream”. This is precisely what Wagner had achieved in Der Ring des Nibelungen: to create a world that was consistent in its own terms and as far away from the reality of contemporary Germany as could be imagined. Moreover he presided over it as a godlike creator. Only with its completion does Nietzsche seem to begin to realise what baggage comes with it; does Wagner appear in his notebooks as “tyrannnical”; does the whole circus of Bayreuth begin to fill him with distaste. It begins with the slight unease that accompanies the composer’s own performance of the climax to his great work, but this does no more than make certain ambiguities troublesome for Nietzsche, since he has invested so much of himself in Die Geburt der Tragödie. He has withstood the damning verdicts on the book by philologists, and still wants to justify his initial belief by once more championing Wagner against a philistine age. But the doubts gather strength. They persist through the publication of Nietzsche’s second book of homage, Richard Wagner in Bayreuth, through Nietzsche’s unsuccessful attempt to flee the premiere of the Ring, and finally crystallise into the largely negative view of any art that can be labelled Romantic in the first book of Menschliches, Allzumenschliches. Nietzsche had seen his prophecy become reality before his eyes, reveal its “all too human” blemishes and, as he was to admit again and again in print after 1878, he found the result increasingly appalling. I have pointed out above some of the consequences of Nietzsche’s failure to distinguish metonymy from metaphor. A further consequence is that poetic metaphor stands in a metonymical relation to that art which creates a free-floating world of its own. When his ambivalences towards Wagner’s music-drama finally resolve themselves into a rejection of this monumental example of a self-contained fictional world that he knew so intimately, poetic metaphor is no longer shorthand for the essence of creativity as such but rather a cause of profound unease, precisely because of its potential “to shape anew the world”, whose realisation by Wagner had led Nietzsche into a series of errors he was to repent again and again in print and in his notebooks. The term had the misfortune to be the metonym for that one vision of all artistic creativity that Nietzsche still saw in abstract as the essence of liberation in mid-1873, but whose concrete manifestation in the Bayreuth Festival of 1876 led to the generally bleak and contradictory view of art in general that he publishes less than two years later. The metonymical bond thus does not allow the poetic metaphor to survive as an independent, positive creative principle in a climate where the kind of art it had stood for in Nietzsche’s transitional aesthetic was now declared peripheral to a world dominated by science, and was thus in danger of becoming obsolete. The art of the future was henceforth not to be an autonomous world of free innovation, but rather educative and based on the wholesome Classical models of early German Hellenism. While it might thus have shown its potential to be a bad master, poetic metaphor was still an eminently useful servant in Nietzsche’s ventures into cultural criticism, and so it ceases to be a theme in its own right but remains an instrument which Nietzsche wields with dazzling skill. In demolishing the columbaria of involuntary metaphors, the poetic variety is an extremely sharp chisel. A final consideration remains. The extract from Jenseits von Gut und Böse quoted above, which employs the metaphor of the palimpsest, shows a clear nostalgia for the mode of thought that dominates Die Geburt der Tragödie. I agree with Young that this intensifies in the writings of Nietzsche’s last creative year, specifically in Götzen-Dämmerung: “The fact is that in 1888 art and its creators are restored to their former glory: the glory they possessed in The Birth of Tragedy” (Young, 118). I would further venture to say that the nostalgic element, the desire to return to a structure of belief encompassing a metonymical relation to “primal being” is a constant, regressive undercurrent in Nietzsche’s writings that reappears often in the notebooks and resurfaces in texts such as Also sprach Zarathustra or those affirming the eternal return. But by the very late stage of Nietzsche’s writing when this original model of the artwork is explicitly reinstated, there is no longer any point in theorising about the poetic metaphor nor time in which to do so. Barnes, Johnathan. Early Greek Philosophy. Harmondsworth: Penguin Books, 1987. Colli, Giorgio, and Mazzino Montinari, ed. Friedrich Nietzsche: Sämtliche Werke: Kritische Studienausgabe in 15 Bänden. München/Berlin/New York: Deutscher Taschenbuch Verlag & de Gruyter, 1980 (Abbreviation: KSA1, etc.). de Man, Paul. Allegories of Reading: Figural Language in Rousseau, Nietzsche, Rilke and Proust: New Haven/London: Yale U P, 1979. Emden, Christian J. Nietzsche on Language, Consciousness, and the Body. Urbana & Chicago: U of Illinois P, 2005. Grimm, Ruediger H. Nietzsche’s Theory of Knowledge. Berlin/New York: de Gruyter, 1977. Kofman, Sara. Nietzsche et la métaphore. Paris: Galilée, 1972. Köller, Wilhelm. Semiotik und Metapher. Stuttgart: Verlag J.B. Metzler, 1975. Magnus, Bernd, Stanley Stewart & Jean-Pierre Mileur. Nietzsche’s Case: Philosophy as/and Literature. New York/London: Routledge 1993. Masini, Ferruccio. “Rhythmisch-metaphorische ‘Bedeutungsfelder’.” Nietzsche-Studien II (1973): 287f. Porset, Charles (ed.). Rousseau, Jean-Jacques. Essai sur l’origine des langues. Paris: A.G.Nizet, 1970 (Abbreviation: Rousseau, etc). Ricoeur, Paul. La Métaphore vive. Paris: Le Seuil, 1975. Ross, Werner. Der ängstliche Adler. 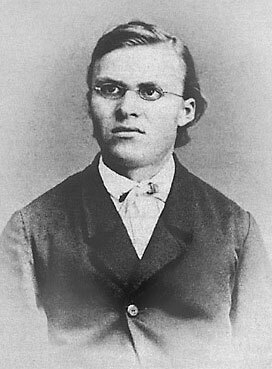 Friedrich Nietzsches Leben. Stuttgart: Deutsche Verlags-Anstalt, 1980. Stern, J.P. Nietzsche: Die Moralität der äußersten Anstrengung. Köln: Edition Maschke, 1978. Young, Julian. Nietzsche’s philosophy of art. Cambridge: Cambridge UP, 1992. Zinn, Ernst ed. Rainer Maria Rilke: Sämtliche Werke. Frankfurt am Main: Insel Verlag, 1955-66 (Abbreviation: Rilke I, etc.). Copyright Notice: Please respect the fact that this material is copyright © Anthony Stephens and Jacket magazine 2006; it is made available here without charge for personal use only, and it may not be stored, displayed, published, reproduced, or used for any other purpose.